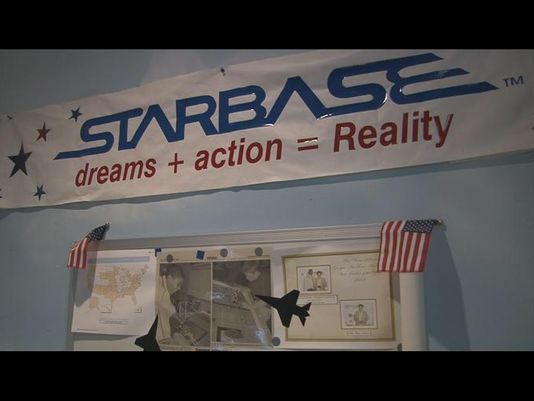 In an effort to remove anything and everything resembling patriotism and military-style discipline and teamwork from public schools, a new initiative has been launched that specifically targets JROTC, Starbase, Young Marines, and several other voluntary school programs. The most aggressive outside effort to use the school system to teach an ideology with ominous long-term implications for society comes from the military establishment. Progressive individuals, organizations, foundations and media all have important roles to play in confronting the conservative, corporate and military influences in our educational system. Bigelow, an endorser of the Save Civilian Education initiative, also teaches that George Washington was not a hero, but a war criminal. One particular Rethinking Schools resource, Rethinking Columbus: The Next 500 Years, was banned from Tucson, Arizona classrooms because it was found to be extremely hostile toward whites and depicted America, in general, as a racist and oppressive nation. Other endorsers of the initiative are Iraq Veterans Against the War, Code Pink co-founder Madea Benjamin, former California Senator and former Weather Underground Organization leader Tom Hayden, and far left MIT professor Noam Chomsky, all of whom have partnered for years in their anti-U.S. military efforts. Iraq Veterans Against the War (IVAW) is a Communist-led anti-war organization that continually works to increase its presence in public school classrooms. Both IVAW and Code Pink partner with some of the most radical anti-Israel organizations in the world, like Al-Awda, for example, an organization that denies Israel’s right to exist. IVAW speakers have been known to show graphic war images to students while blaming U.S. soldiers for murdering innocent civilians. For example, as recently reported, U.S. military veteran and IVAW member Ethan McCord can be seen in a video telling high school students that U.S. soldiers are trained from day one to dehumanize the enemy and also “to dehumanize civilians here at home”. Later in the video, McCord refers to military recruiters as pimps and the army as their whore. Another endorser of the initiative, Countering the Militarisation of Youth, says they oppose any U.S. military presence and influence in education as well as in social media, entertainment, fashion, and even public events such as parades and memorials. The group says their work is “breaking the cycle of teaching violence to young people”, yet ironically, they partner with groups like the Muslim Students Association, an organization founded by the jihadi terrorist group, the Muslim Brotherhood. Save Civilian Education claims that some military programs sneak into schools under the cloak of STEM education, and therefore, calls for an end to those as well. JROTC is a voluntary program that says it exists to teach students character education, student achievement, wellness, leadership, and diversity, while preparing them for college and to be leaders in a diverse workforce. This entry was posted in WHAT ARE THEY LEARNING? and tagged Al-Awda, Bill Bigelow, civilian education, Code Pink, Howard Zinn, IVAW, JRTOC, militarization, Rethinking Columbus, Rethinking Schools, Starbase, Tom Hayden, Young Marines. Bookmark the permalink.